The infamous McDonald’s Shamrock Shake makes its rounds once a year at the Golden Arches. Over 60 million of them have been sold since they were first introduced. With 54 ingredients in each shake, though, they are pretty much the opposite of real food! It might come as a surprise that I’ve never actually tried this seasonally popular drink, but when some friends who normally eat super healthy were raving about how much they love this green concoction from one of the most unhealthy restaurants, I decided to attempt to create a healthy, real food version! Besides, I’m a big fan of getting nutrition through smoothies and shakes! 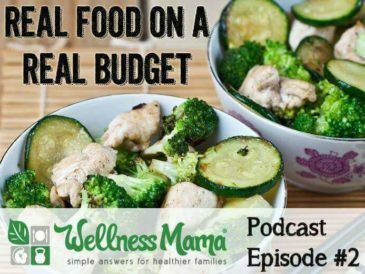 This version includes nutritious avocado, so it is a tasty (and much healthier!) way to get your Shamrock Shake fix. Shamrock Shakes were first introduced in the 1970s but they didn’t gain much popularity and were discontinued. Over the years this shake has morphed from a lemon and lime sherbet concoction, to a vanilla sundae with disturbingly neon-green shamrock sauce, then into a milkshake, and eventually evolved into the mint and vanilla flavored drink that’s so popular. The McDonald’s Shamrock Shake relies on artificial green coloring, artificial flavor, and loads of high fructose corn syrup. 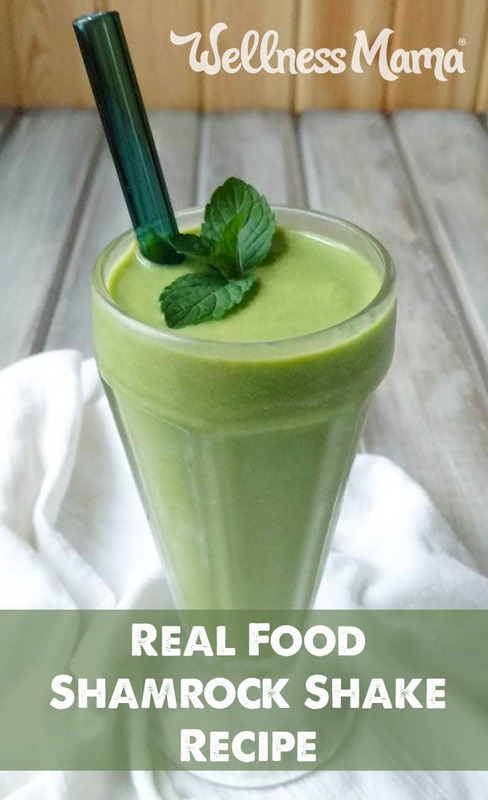 This real food shamrock shake uses pure peppermint oil extract and naturally green foods like spinach and avocado. Even though there are veggies hiding in this dessert, all that’s tasted is creamy, minty goodness. Some people may find it strange to add avocado to a dessert, but this fruit adds a creamy texture and healthy fats. 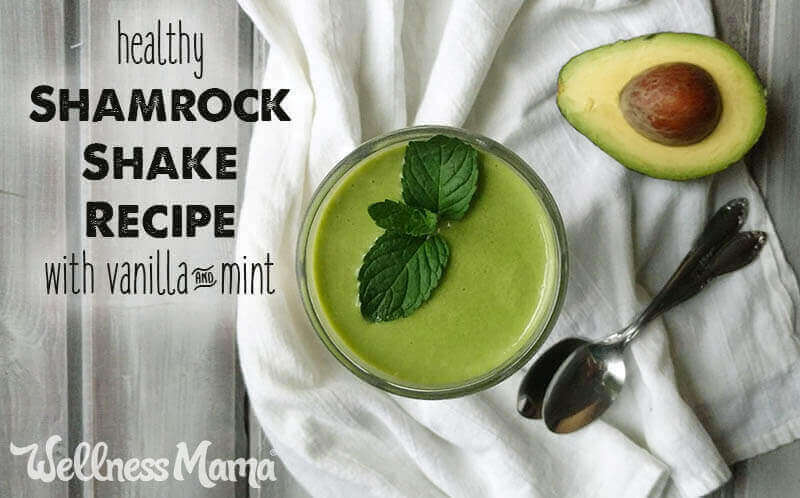 One avocado alone contains the full daily value of vitamin K and folate and about 70% of the daily required vitamins B5, B6, C, and E.
Spinach is a familiar green in salads and breakfast quiches, but it’s just as at home in this real food shamrock shake. This green leaf contains high amounts of vitamins A, C, and K, as well as folate and some B vitamins. Spinach is a good source of certain minerals too, like iron, magnesium, potassium, and manganese. Even better, avocado increases the bioavailability of the anti-inflammatory nutrients in the spinach. Spinach contains a poorly absorbed source of plant iron called non-heme iron. However, when vitamin C-rich foods are paired with plant based iron sources, it significantly increases their bioavailability. The high amount of vitamin C in the avocado works perfectly! A note for anyone who has a thyroid issue, or is otherwise trying to avoid oxalic acid: use cooked spinach instead of raw. Although the fast food version is only available once a year, this sweet treat is worth having all year round. It’s creamy and sweet, with enough nutrition to make it a smart choice any time of the year. Although not as sweet as the original version, (which contains over 19 teaspoons of sugar for a medium size!) feel free to add some more maple syrup or honey if you prefer a sweeter taste. This recipe makes enough for two real food shamrock shakes so it can be shared with a friend! This refreshing shamrock shake recipe has flavors of vanilla and mint with a nutrient and color boost from spinach and avocado. 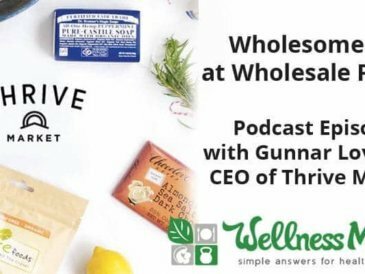 A treat you can enjoy and feel great about! 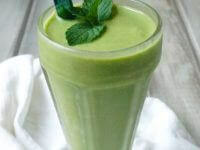 In a blender combine the milk, mint extract, vanilla, avocado, maple syrup or honey, and spinach. Blend until very smooth. Add the ice cubes and blend just until it forms a shake consistency. Add more milk if it’s too thick for your blender. Pour the milkshake into cups and enjoy! Have fun customizing this healthy shake to fit your preferences. 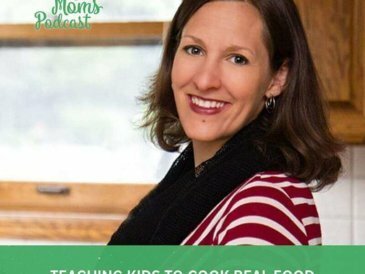 Choose the type of milk and level of sweetness that works for you! Do you or did you used to enjoy Shamrock Shakes? 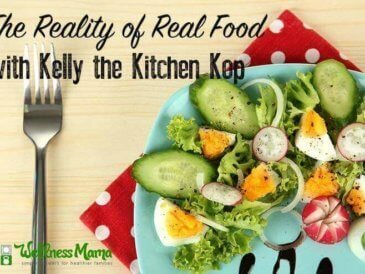 Leave a comment and let us know how you enjoyed this real food version! Sean Lynch and James Cook, “Interaction of vitamin C and iron,” Annals of the New York Academy of Sciences, vol. 335 (December 1980).